The festival will be taking place at Thurso beach / harbour. Informal arrival evening in Ferry Inn, Scrabster. 9 am meet on site at Thurso Harbour. Housekeeping and Health and Safety Briefing. Start building the drystone feature. Refreshments at 11 am, lunch of soup and sandwiches at 1 pm – 1.30 pm. 4.45pm Tea and baking in the Tempest Café at the Harbour where we will be showing a 30 minute DVD documentary by Roland Keates called ‘ If Walls Could Talk’. Afterwards a short guided tour of nearby Old St. Peters Church which dates to 1125. 9am meet at Harbour, briefing. Continue building stone feature. Refreshments 11 am, Lunch 1 pm – 1.30 pm. Meeting time: 5.00 for 5.15 pm to 7 pm. View Pictish Standing stones in foyer. Frederique Mahieu – Drystone Shelters in Menorca. 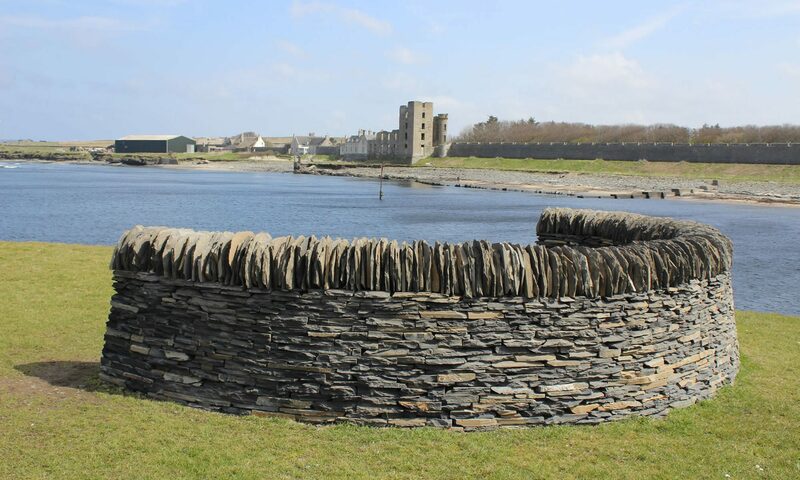 Patsy McInaw – Working on traditional building as a young lad in Donegal..
William Fletcher – Making model stone buildings. Raffle draw in Ferry Inn, Scrabster. Meet at RSPB Dunnet Head. Car sharing is recommended. Ample parking available. Repair gaps in old Northern Lighthouse Board walls on the most Northerly point in mainland UK. Lunch 1 pm – 1.30 pm. Finish early or by 4 pm latest. Informal farewell gathering, Popeye’s Bar, Scrabster.